Since long before mankind had any kind of dwellings, they needed to stay warm from the elements. They used fire for thousands of years, but mostly inefficient since the heat from a fire only radiates a small distance outwards before traveling straight up. This is fine if you needed to heat up the area very close to the sides or directly above the fire but not so well for large open areas. As the years went on, the proper use of fire was applied more effectively. 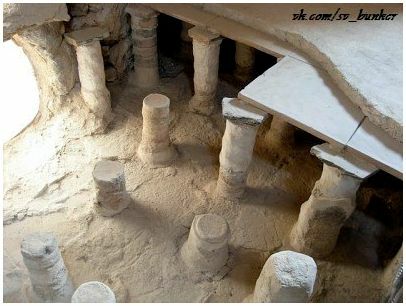 An effective principle used by Ancient Greeks and Romans was called a hypocaust. This was a system of central heating in a building that produces and circulates hot air below the floor of a room, and may also warm the walls with a series of pipes through which the hot air passes. 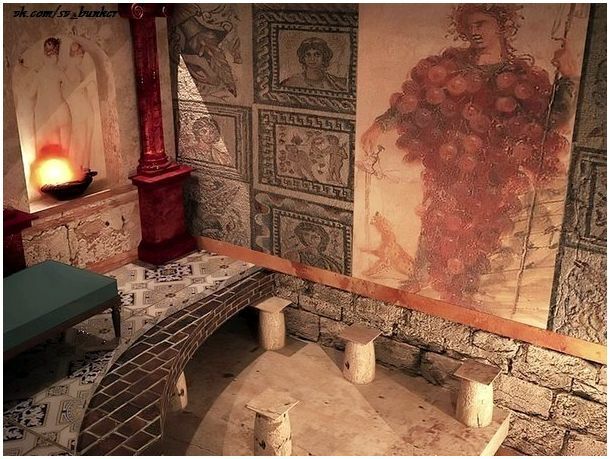 The word derives from the Ancient Greek hypo meaning “under” and caust-, meaning “burnt.” The ceiling of the hypocaust was raised above the ground by pillars, called pilae stacks, supporting a layer of tiles, followed by a layer of concrete, then the floor tiles of the rooms above. Hot air and smoke from the furnace would circulate through this enclosed area and then up through clay or tile flues in the walls of the rooms above to outlets in the roof, thereby heating the floors and walls of the rooms above. The earliest reference to such a system suggests that the temple of Ephesus in 350 BC was heated in this manner. Dating back to 1000 BC, Korean houses have traditionally used the ondol to provide floor heating on similar principles as the hypocaust, drawing smoke from a wood fire typically used for cooking. The word ondol taken by Koreans with Chinese language and means “warm cavity.” Ondol heating was common in Korean homes until the 1960s, by which time dedicated ondol installations were typically used to warm the main room of the house. More recently, most people use a heat pump to heat their house. As technology progresses, heat pumps are getting more and more efficient, but they still use a tremendous amount of electricity. To supplement the heating, some houses have the option of a fireplace. This is a wonderful addition to set the mood, but it is a valuable asset to have in case of emergency situations such as a natural disaster or as simple as a power outage. Without any heat source, your home will hold heat for a time radiating the heat stored in the furniture and even the floors and walls, but it will soon loose it’s warmth after a while. The best way to hold on to this heat is to be able to store it and then use it long after the fire has gone out. Masonry heaters are just that! It is a fireplace that routes the chimney from the firebox around almost in a serpentine, maze-like manner allowing the heat from the smoke to be absorbed into the masonry bricks. The chimney is routed this way to increase the available surface area that the heat can be absorbed by. After the bricks have stored up their full potential, they begin to radiate the heat outwards to heat up the area around the whole chimney structure. The temperature can reach 2000 degrees inside some masonry heaters (vs 700 inside a metal stove), yet they stay comfortable to the touch on the surface. At these high internal temperatures, the hydrocarbon gases ignite, leaving very minimal pollution. Many have used this type of fireplace to regulate the heating in their homes for decades with little to no trouble. A slow burning, low temperature, low oxygen fire produces tar and hydrocarbons, a fast, hot, air-fed fire burns the pollutants up. Add a storage battery (the masonry) and you have a very efficient, non-polluting heating system. A metal stove gives out its heat rapidly, thus never allowing the inside combustion temperatures to achieve the 1100 degree F plus needed to ignite all the gases. As you can see, there are many different ways that this amazing bit of fireplace technology can be used. This proves that mankind has taken the simple fire pit and improved it to the point that one can build a small fire in their home and get the most out of even the smallest fire. Although these effective heaters were and are still popular in Russian and northern Europe, the United States has never had a wood shortage, so the masonry heater has been pushed aside for the wood guzzling metal stove. Considering that masonry heaters are efficient and emit little pollution, the United States should take a closer look. For more ideas on how a masonry heater could look in your home, go here. The people at Insteading.com have many beautiful pictures, design plans and more! Previous story A check valve powered by the sun!